Take advantage of our benefits and take responsibility for environmental protection. We offer you a free take-back of small containers of 1L-20 L with the purchase of our own brand of TIPP Oil (plastic containers). We will refund you 25 cents per piece. What are the advantages of a partnership with REBOTTLE for your company? 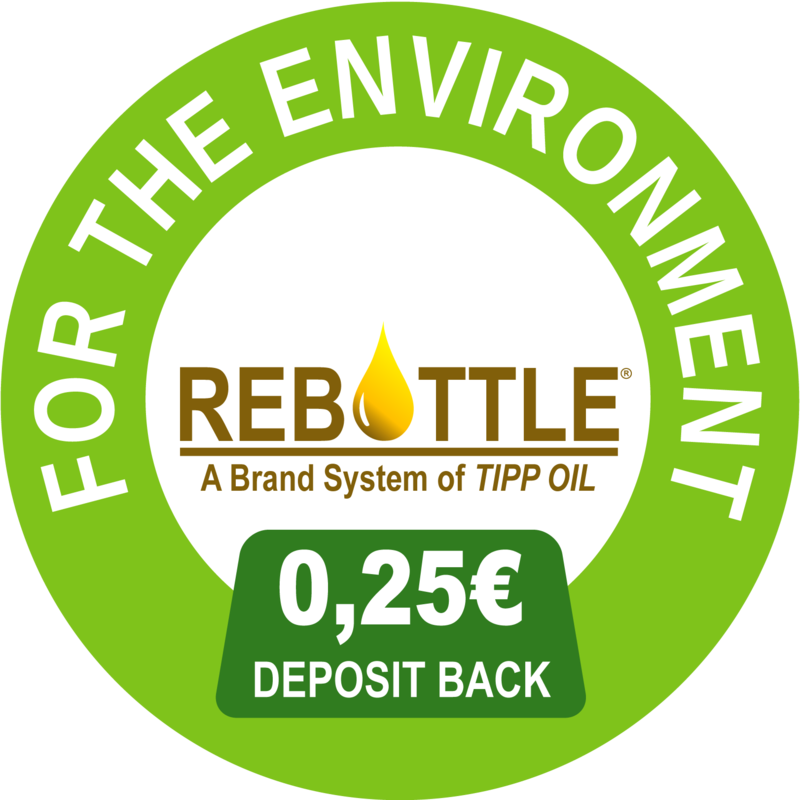 You pay an annual franchise fee of 1000,- Euro plus VAT and enjoy the advantages of a premium partnership with REBOTTLE. Register today at contact@tippoil.com and start doing something good for the environment together with us.